White flat card depicting animal (chicks, dogs, cats, pigs) ready for a party with their party hats. 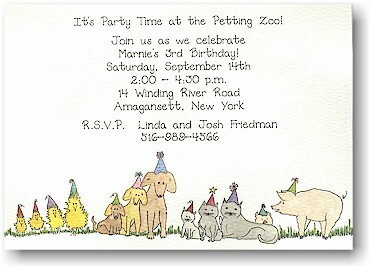 White flat card with animals - chick, cat, dog with party hat and pig. Can be used as an invitation as well.